Our beautiful vessel Karisma can be chartered out for all types of leisure or corporate functions in Sydney Harbour. If you are looking for something fun and stylish, then Karisma will definitely delight. Create unforgettable experiences and memories on Sydney Harbour with our beautiful vessel, Karisma. This luxurious charter boat will give you the platform to bring to life an incredible story. Welcome to the home of one of the newest charter boats on Sydney Harbour. Our first boat Karisma went into production during 2011 and has been turning heads ever since it arrived in Sydney late 2013. We provide boat hire services catering for a broad range of events, including birthday cruises, Christmas parties, special occasions like Australia Day and New Year’s Eve, as well as wedding and corporate boat charter events. We also offer BYO Harbour Cruises for those wanting to provide their own catering and beverages. If you are looking for something unique and stylish, then Karisma will definitely delight. Our beautiful catamaran Karisma can be chartered out for leisure or business occasions in Sydney Harbour all year round. Enjoy the modern features and superior service of our trained staff on board, still only 5 years’ old. No matter your event, you can be sure the luxurious fit out of Karisma and our professional service will impress your guests. Karisma not only impresses with aesthetics and service but is located with one of the best backdrops in the world, Darling Harbour Sydney. Get up close and personal with some of the city’s world renowned sights. Experience the remarkable bay and city views of Sydney by hiring a stunning boat for a private cruise on the Harbour. If you are having any function, particularly with visiting guests, don’t miss the chance to show them the iconic sights of Sydney Harbour in ultimate style. 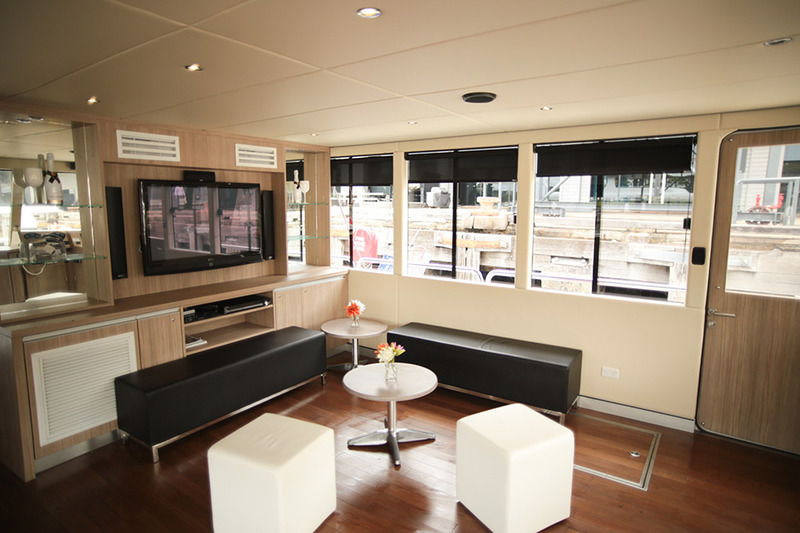 With our luxury interiors and spacious deck space all to themselves, they are sure to be impressed. Contact us now to arrange a custom quotation or to organise an inspection. Boasting three large under-cover entertaining areas ready for whatever the weather Gods may bring, PA system available and in-house sound system to play your desired music with inbuilt LED lighting to set the mood for those evening party cruises. Maximum convenience provided with our ability to access most Sydney Harbour wharf locations. Hydraulic swim stairs, six person heated spa and outdoor BBQ for those lovely casual days out with friends, family or colleagues. We also offer BYO boat charters for those looking to provide their own food, beverage and entertainment options. We aim to offer something for everyone’s specific needs. Read more about why you should choose us or simply use our enquiry form. Keep up-to-date with all the latest news, updates and blogs from the team here at Karisma Cruises. See what our clients think about Karisma and the vide variety of cruise experiences that we offer. Been on one of our cruises or simply want to see what they look like? View our image library below. Sydney is an incredible city and there’s no better way to enjoy the stunning surroundings than from the comfort of a luxury-chartered boat hire with your friends, family or colleagues. 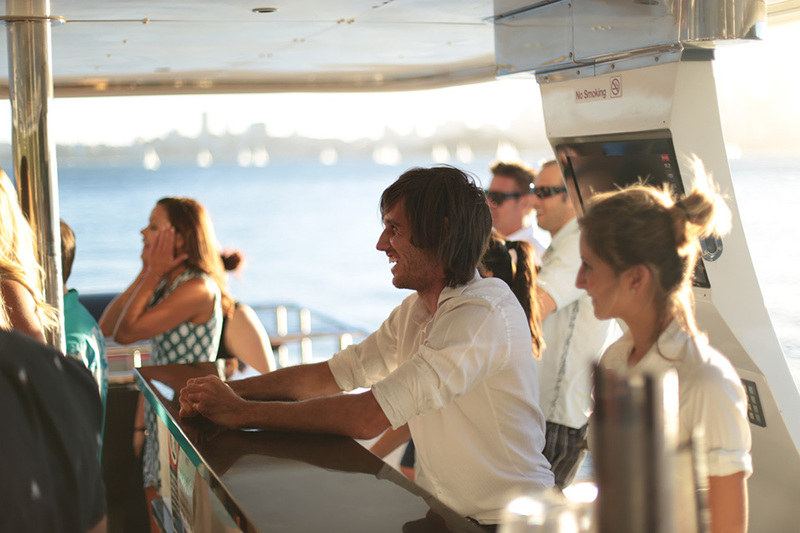 Hiring a boat in Sydney Harbour gives you the perfect backdrop for your social or corporate event. The Harbour has played a significant role in shaping Sydney’s culture. Today it hosts not only some of the most iconic buildings in the world, but it also hosts an array of spectacular events and occasions. It really is the best place to be in Sydney! It doesn’t matter if you’re visiting Sydney for the first time or you’ve lived in the city your whole life, getting the chance to enjoy the water-front from a private boat will create an unforgettable occasion. It will allow you to experience famous landmarks and scenery from a unique perspective, while all the time enjoying the luxury of a charter boat in Sydney. Boat hire Sydney is something that everyone needs to experience once (and in a dream world, once every week!) That’s why we launched Karisma Cruises, to help people get the most out of hiring a boat in the Harbour. Our mission is to ensure a seamless experience from point of enquiry right through to the conclusion of your event. We’ll offer you the perfect venue, taking the traditional water-front view to a whole new level with 360 degree views of Sydney Harbour, without compromising on comfort or versatility. 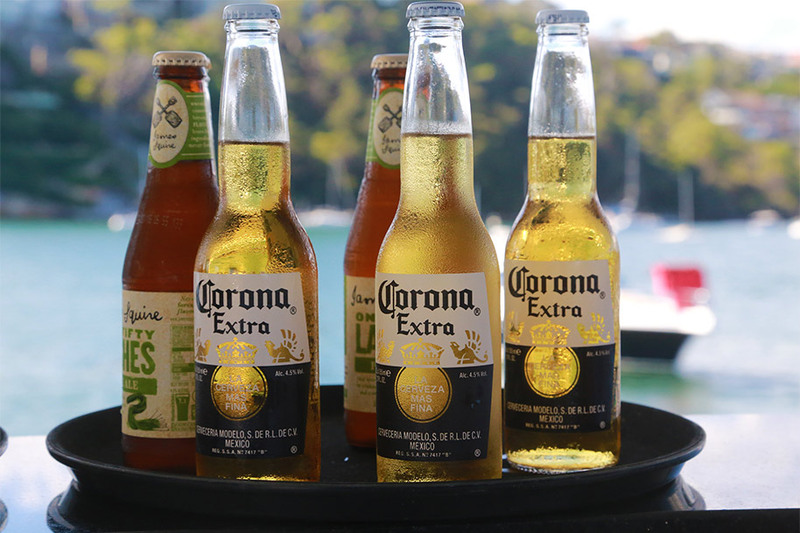 It doesn’t matter what you want to celebrate, Sydney Harbour is the perfect setting. Exploring the area from a chartered boat hire is as good as it gets. Visit hidden gems for a bit of R&R, or head to the best bars and pubs in town. Get a selfie with the Sydney Opera House and Sydney Harbour Bridge or perhaps just enjoy a beautiful sunset with close friends and family. As a boat rental company in Sydney Harbour, it’s no secret we rely on a team of exceptional individuals with industry experience, creative minds and the skill to deliver an experience like no other. We offer flexible boat hire options to ensure it suits your personal preferences and requirements. From BYO parties to fully catered corporate events, we can adapt to your needs to ensure you have the best day ever. To learn more about our approach, facilities, pricing and how we can help, simply get in touch with us here at Karisma Cruises and we’ll help you start planning your dream day out on Sydney Harbour.